Here is a list of frequently asked questions that we have put together to help you with any questions or concerns you may have. What is so special about Alchemy Money? We understand the importance of providing a comprehensive choice of loans to meet your needs and requirements. But we also recognise the importance of excellent service and that is why we have teamed up with specialist lenders and brokers to provide you with that extra special service. What exactly is a homeowner loan? A homeowner loan is sometimes referred to as a secured loan, or second mortgage. They are usually taken out in order to make a big purchase, to consolidate existing credit or to make home improvements. Once you have called us or applied online, you will be contacted by a case manager who will discuss your requirements. How much time will it take to process my loan? It can vary from loan to loan, but at Alchemy Money we’ll always keep you informed throughout the process. You will be notified at every stage of the application process. I jointly own my property with my partner do they need to apply for a loan with me? Yes, if you jointly own your property then you will need to make a joint application. You’ll both need to complete and sign the application and legal documents. I’d like to speak to you, how do I get in touch? If you’d like to speak to us, you can find all our contact details here. I’m married, do I need to make a joint application? Yes, if you’re married then you will need to make a joint application. Both applicants will need to complete and sign the application and legal documents. When applying for a loan with Alchemy Money, your case manager will require additional information from you such as proof of income or proof of address. How much can I borrow and how long would I have to repay it? If you’re employed or self-employed, you could borrow any amount between £10,000 and £250,000. You can repay your secured loan over a term from 3 to 25 years. When consolidating debt, this may increase the amount you pay back overall and extend the repayment period of your debts. I’d like to consolidate my existing credit, can I apply for a loan with Alchemy Money? If you’re juggling multiple store or credit cards, or have a personal loan that you’d like to pay off too, then you could wrap all those monthly repayments into one with a secured loan with Alchemy Money. We do not offer a full range of debt management advice and solutions therefore a consolidation loan may not be the best outcome for your circumstances. Debt advice agencies provide free debt management advice. How do you offer such competitive interest rates? 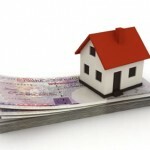 Homeowner Loans are secured against your property which allows us to offer the most competitive rates available. Why has my application for a homeowner loan been declined based on my credit profile? 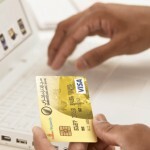 Your credit score is determined by a number of factors. A lender’s credit scoring system allocates points for each relevant piece of information to create a score. If your score does not reach the level at which a lender is able to lend to you, we would not be able to agree to provide you with a homeowner loan. You can find out more about the information held about you by credit reference agencies on the Equifax website www.equifax.co.uk. Although Alchemy Money will work very hard with its partners to find a suitable loan there may be circumstances when your application will be declined.